This is the first thing we've bought for ChickPea yet! We're luckily covered for clothes (lots of gender neutral clothes that I never used for Monster because they were too....yellow or green, will finally come in handy). We're also good with newborn toys, cloth diapers and socks. 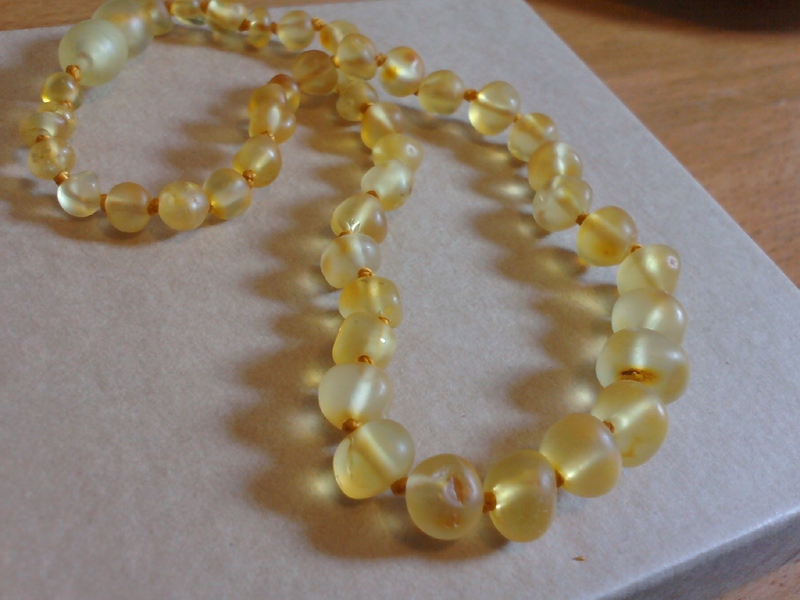 Since there wasn't much to buy this time, I splurged on this amber necklace from Inspired by Finn. These necklaces allegedly help with teething, colic and general discomforts of newborn babies. I'm eager to try and see if they really do make a difference. I'll be especially interested in how it affect the baby in the 6th month sporadic sleep period, during which Wizard and I had official joined the league of zombies when Monster was teething. How adorable!Kids don't know how good they have it these days. I wish I had something like this for my daughter, who was so colicky that I don't think I slept more than 3 hours each night until she was a year old. :( I'm so sorry to hear that. Newborn sleep issues scare me!